2018 has been a strange year all over the world. 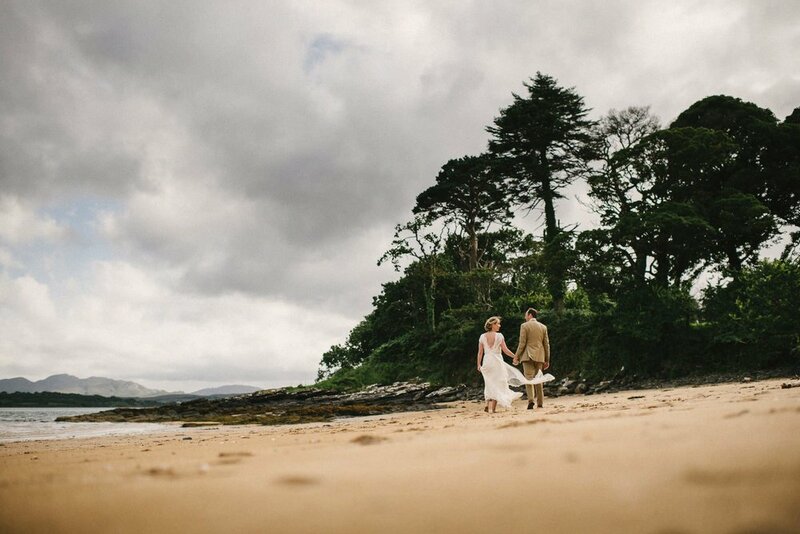 These weddings have been a tonic, and we’ve held them close to our hearts. Genuinely appreciating the love, kindness and sense of community that weddings bring into people's lives. The buzzy sense of anticipation around each day. Families and friends moving heaven and earth to be in the same place, at the same time, to celebrate the people they love. It's good for the soul. And we still never take these invitations for granted. Creatively it's been a great year. I (Tim) joined a busy collective of artists in Belfast - Vault Studios - and have been painting away in the spaces between weddings. This always ends up feeding into the photography somehow. It stops my brain from falling into visual habits, keeps me trying to see images in a different way. I've also loved being part of This is Reportage, a documentary photographers’ collective, whose genius members keep me on my toes, always striving to be better. Couples of 2018, you've brought a lot of joy into the world this year. You've been the best craic, beyond kind, and have introduced us to gold boots, which are officially the way forward. Thank you one and all. There are only so many sweetie tables a man can raid. And as ever, the heart of this work for us is never the stuff (although you guys have some really amazing stuff). But it’s you human beings getting married. Watching your amazing families and friends hold you up. Being a small part of the cycle of your lives. It never stops being a privilege. Ps. A note for any fellow camera nerds - 2017 was a year of trying to simplify camera gear as well as life. Apart from the few film snaps, I ended up shooting most of the year on two lenses - a Nikon 28mm and 58mm. From Meath to Marrakech, New York to Newry, Bordeaux to Ballybofey... you get the idea :) 2016 was quite the year. So many excellent adventures. But mostly, it was all of you truly incredible people that made it so great. A huge thanks to each and every one of you who trusted us with your weddings. We've been privileged to keep your company.